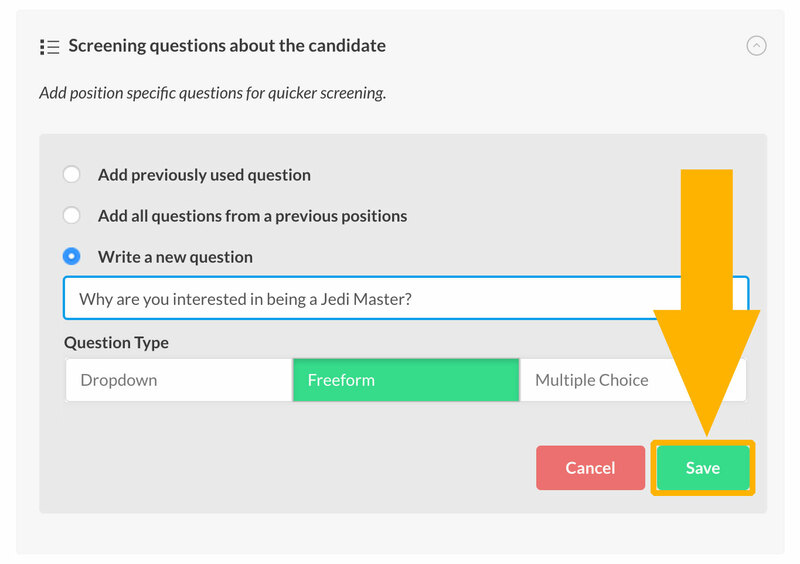 Screening questions allows candidate to answer specific questions when applying for the job. 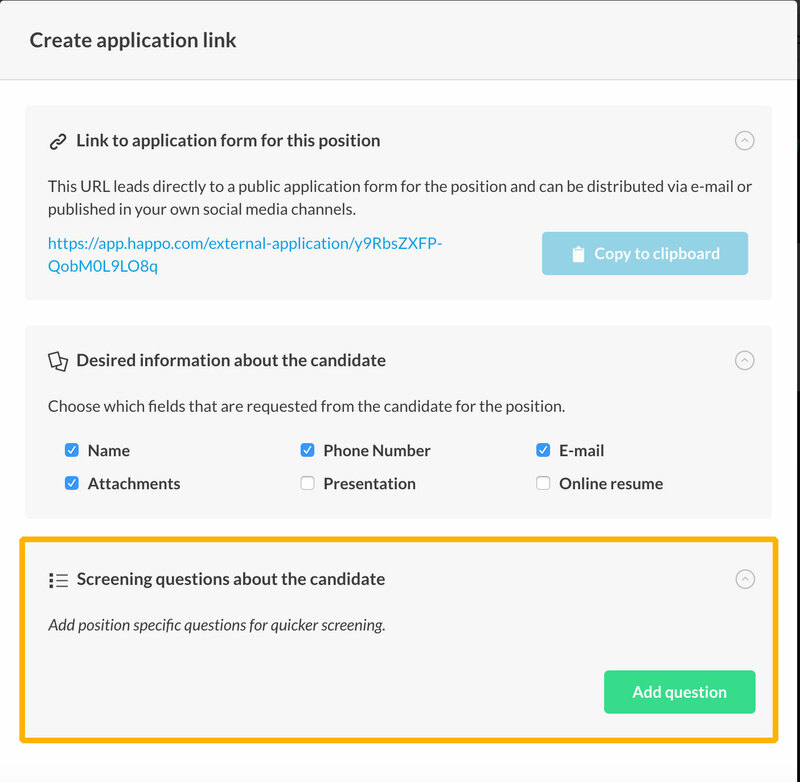 Candidate will see questions in the application form. 2. 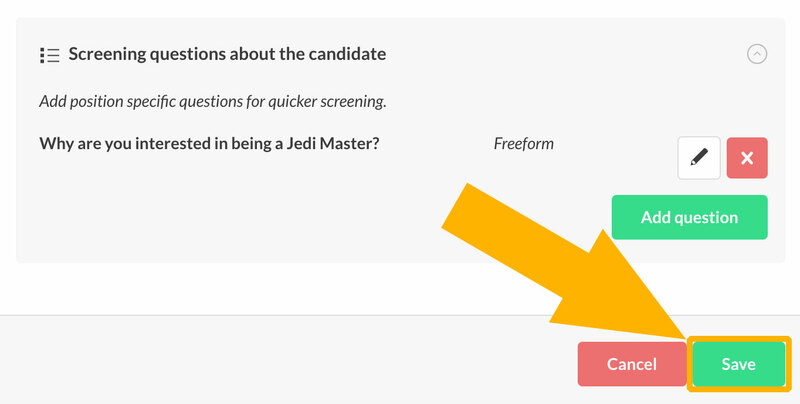 Scroll down to "Screening questions about the candidate"
a. Dropdown: Use dropdown when describing one or more alternatives. For example, "Do you have a driver’s license" or "Which of the follow IT-languages do you prefer?" 5. Type question into text box and click "Save"